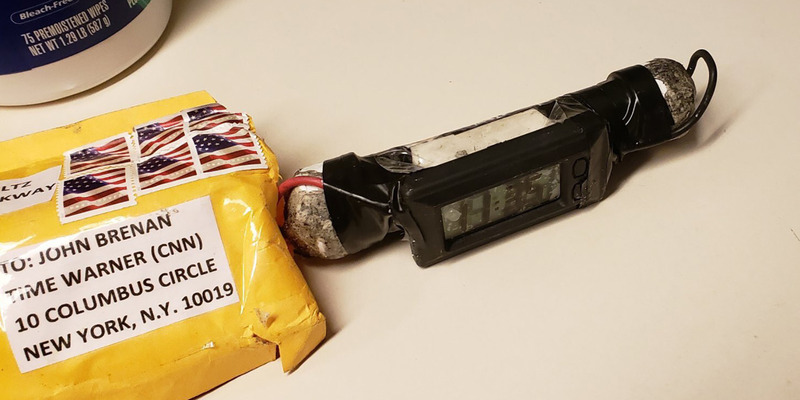 CNNThe package and bomb sent to John Brennan at CNN, New York, October 23, 2018. 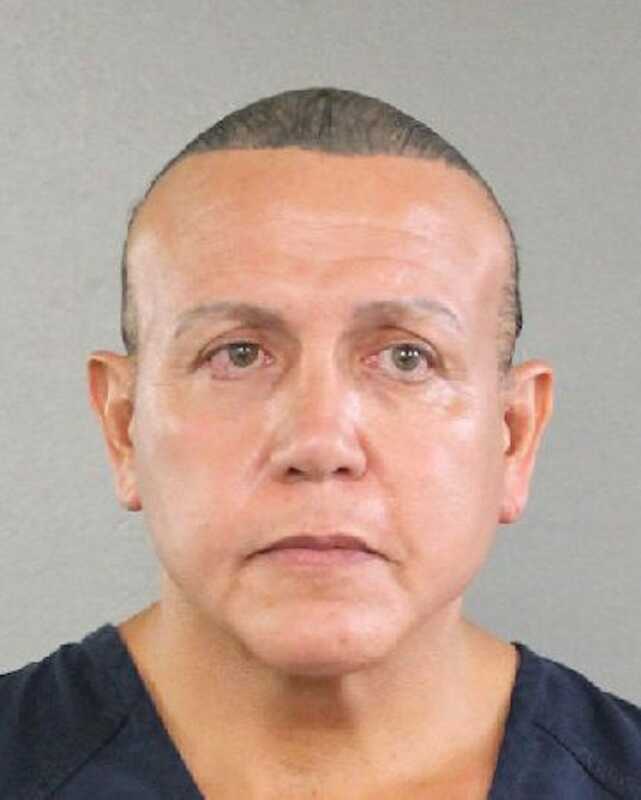 The suspect was identified as Cesar Sayoc, 56, of Aventura, Florida. DNA evidence found on one of the devices in the investigation played a large role in leading authorities to Sayoc, according to what a law enforcement official told CBS News. FBI Director Christopher Wray on Friday said a fingerprint was found on one of the envelopes in the investigation, which matched Sayoc. The suspect was identified as Cesar Sayoc Jr., 56, of Aventura, Florida. Sayoc was arrested around 10 a.m. ET on Friday in Plantation, Florida. Sayoc is being questioned by FBI agents with the Joint Terrorism Task Force, according to reports. Broward CountyA photo of suspect Cesar Soyac. Law enforcement tracked down Sayoc less than a week after the first bomb threat emerged, and authorities are being widely praised for the speedy investigation. DNA evidence found on one of the devices in the investigation played a large role in leading authorities to Sayoc, according to what a law enforcement official told CBS News. Sayoc has an extensive criminal history, including a 2002 arrest on charges that he made a bomb threat. FBI Director Christopher Wray on Friday said a fingerprint was found on one of the envelopes in the investigation, which matched Sayoc. He also said DNA was found on two of the devices. The envelope was reportedly addressed to Democratic Rep. Maxine Waters. 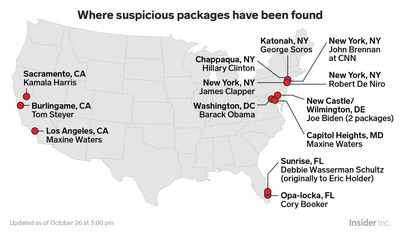 At least 14 suspicious packages addressed to prominent Democrats and public figures, including former President Barack Obama and former Secretary of State Hillary Clinton, have been found or intercepted over the course of the week. All of the packages were addressed to people who have vocally attacked Trump, and who have often been critical of the president.